Considering that profit margins are at historic highs (pretty elevated) and stock market valuations are at least fair, the guess is that there shouldn’t be tremendous upside unless earnings are really coming thru. 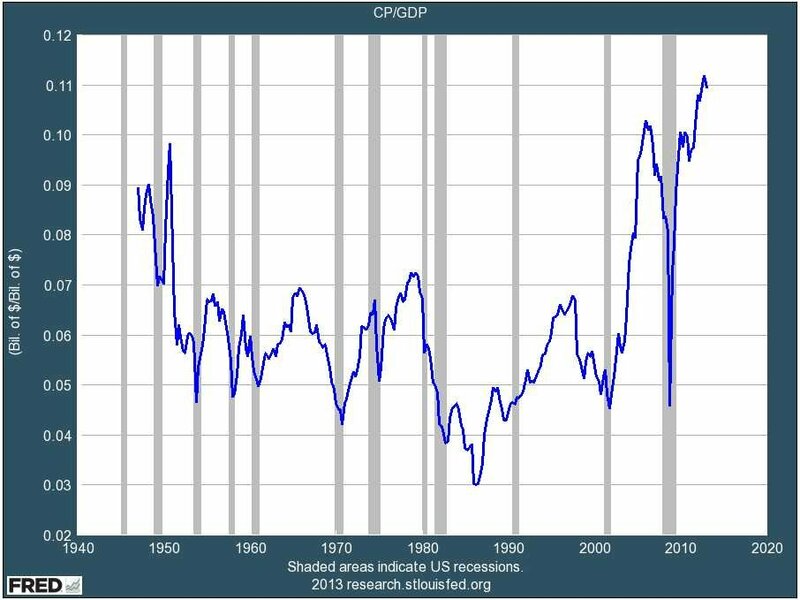 Corporate Profit as percent of GDP. 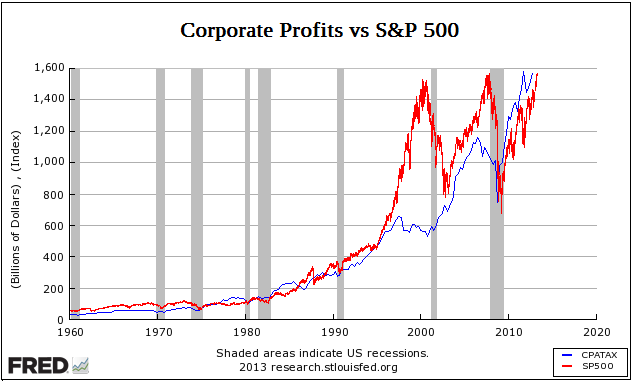 Corporate Profit vs S&P 500. In brief, what we have ssen so far, earnings down and stock market up (multiple expansion). 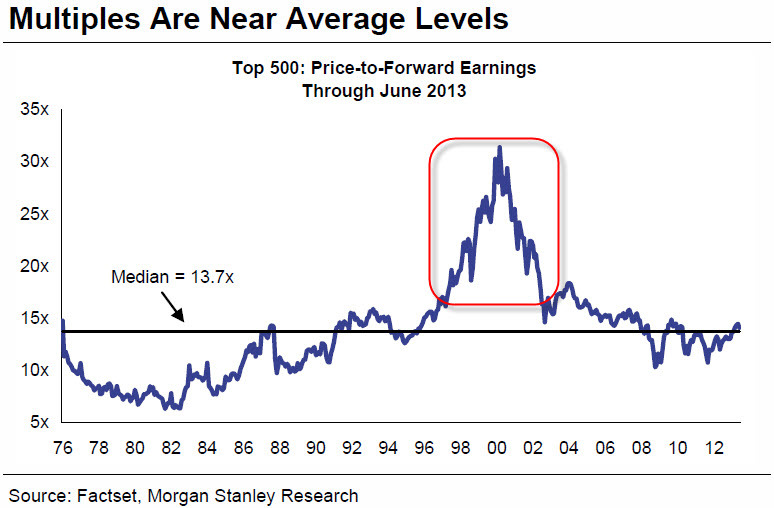 Trailing twelve month price-earnings ratios. The charts are trailing earnings, not forward looking. However, it is difficult to believe in further profit explosion driven by sales when both U.S. and global GDP is constant downgraded (inflation is low). Corporate profits and margins are already at all time highs and show clear signs of peaking. Corporate management themselves are cutting forward looking guidance. But this isn’t normal times. 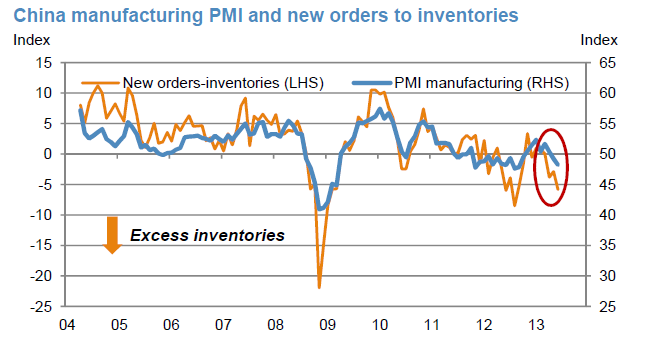 The weakening Manufacturing PMI in China seems to go hand in hand with inventories, or the large build up in inventories. The excess level of inventories can be sorted out by additional demand or China needs to cut back on excess production capacity. The other day we got the news that “China has ordered over 1,400 companies in 19 sectors to reduce excess output this year as part of the government’s strategy of re-balancing the economy.” It does not appear that the Chinese authorities see a quick increase in demand in the near future. “…they’re not focusing on the quantity of growth but the quality of growth.” If that’s the case and in other Words, they are focusing on the quality of the GDP and have no interest in inflating numbers by building bridges that lead nowhere. 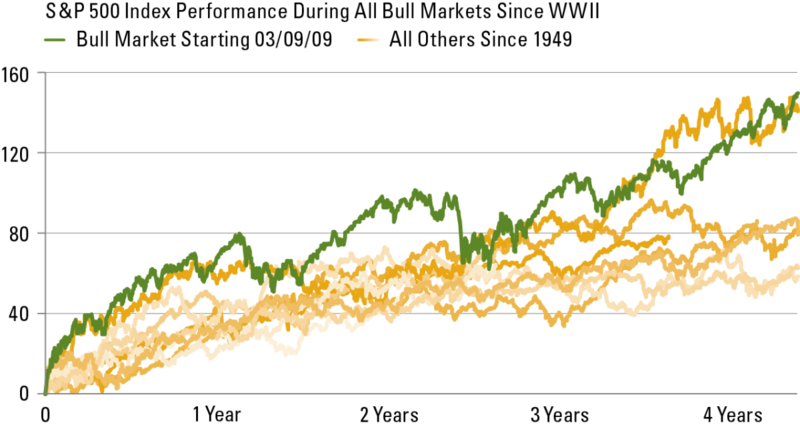 Retail investor’s actions are driven by emotion rather than logic. 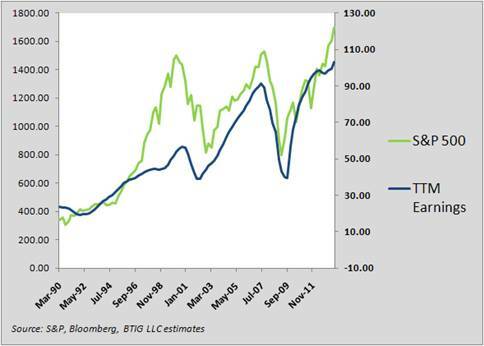 Record inflows at all time highs. Before each reporting season the saying usually goes that expectations are low and even the smallets earnings beat vs consesus will move the market higher (no matter the actual market performance). I guess that goes for the current earnings season as well. 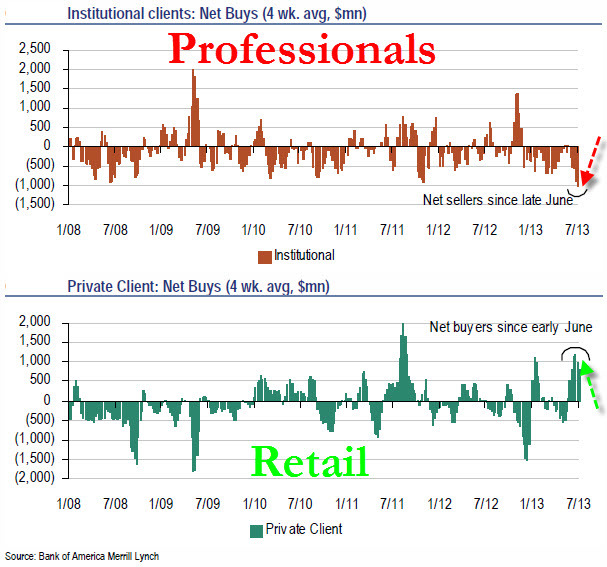 The overall feeling is that this is really bad timing by retail investors. Future will tell. The general view is that Fed will trim its asset purchase program to $65B/month from the current $85B pace beginning in September, according to economists polled by Bloomberg. Question is if the market really has adjusted for this. If so the market seems to believe that it won’t be a negative thing. Neither to the market, nor to the economy. The current market rally is record breaking. Strongest Bull market on record in 65 years. When you look at earlier times when the flow was at extremes there is a tendency to coincide with market tops, periods of overshooting. 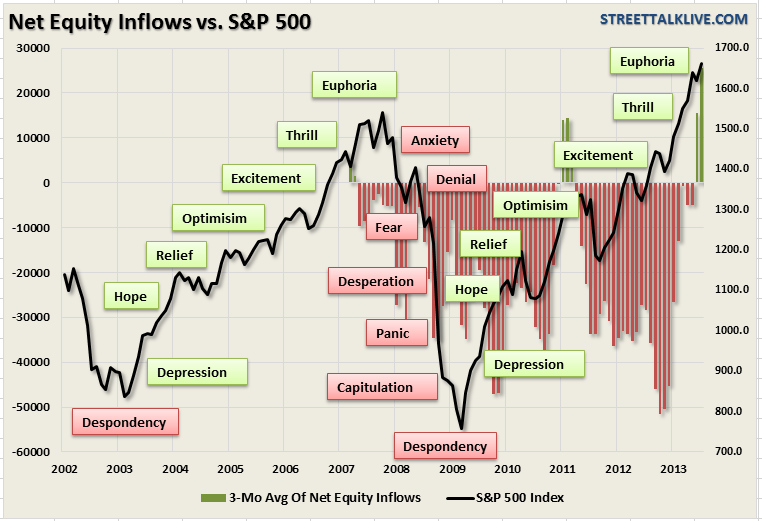 Of course it feels crazy that we are seeing huge inflows while the stock market is printing new all time highs. The best strategy in recent years has been to buy when no one else is buying and sell when everyone else is buying. Part of the massive inflow is probably coming from the recent selling in the bond market (the Great Rotation). 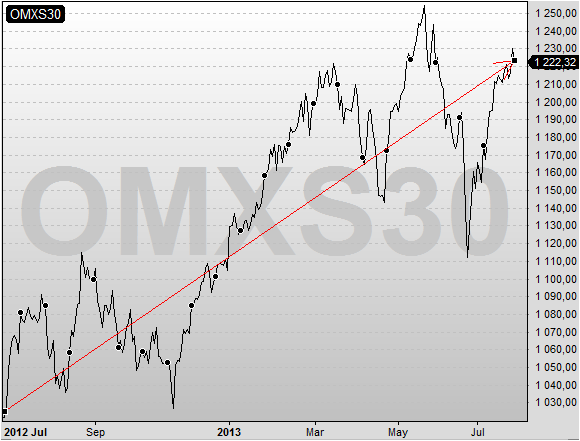 Technically, the market is getting stretched again and we’re approaching overbought conditions (again). Perhaps that will bring even more people to start buying. 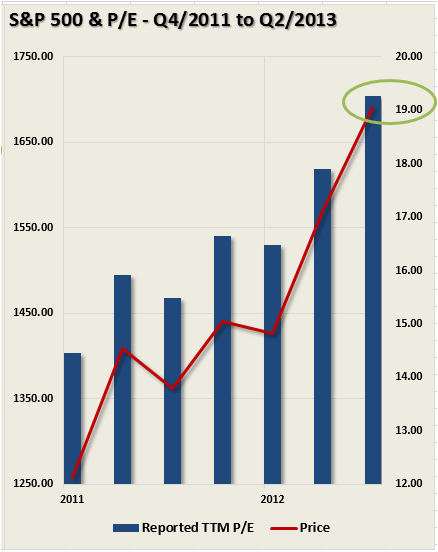 Note that the record breaking inflows in Januari was also done be retail Investors (and they got it right then).